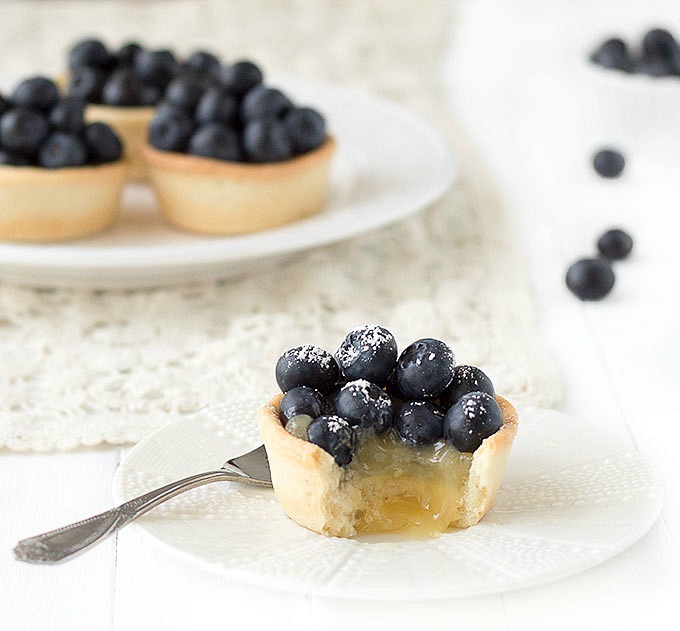 These lemon blueberry tartlets are simply divine! 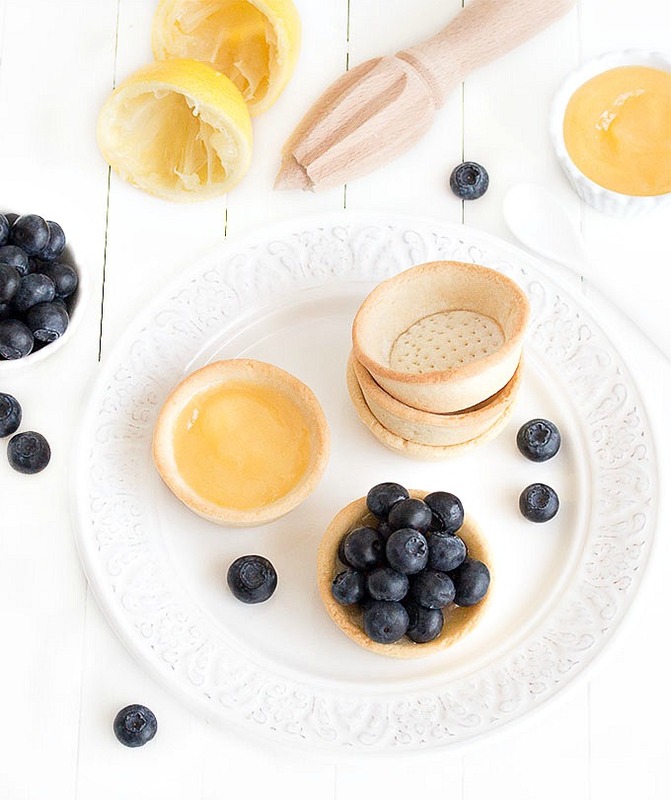 Buttery and crumbly tart shells are filled with a creamy, tangy lemon curd and topped with juicy fresh blueberries. Each bite is bright and refreshing. The tart shells are made with pâte sablée, a sweet and rich French pastry perfect for tarts filled with custards, cream or jam. I had never made pâte sablée before and I was curious to try it. The filling is a lemon curd without butter. 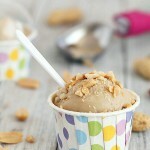 It is very simple to make and incredibly smooth and delicious. 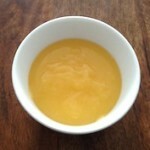 The best lemon curd I have ever tasted. If you don’t have mini tart pans use a muffin pan. You could also make one large tart, just be sure to adjust the baking times accordingly. You are not a fan of lemon curd? No problem! Fill them with custard, whipped cream, or even chocolate ganache. Feel free to use any berries of your choice. 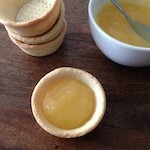 You can make the tartlet shells and lemon curd a day ahead. Just store them separately until you need them. 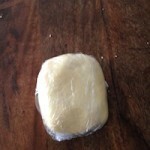 Also, You can freeze the pâte sablée tightly wrapped for up to 3 months. 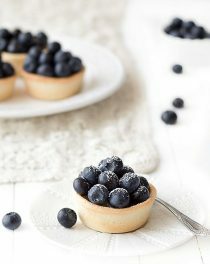 These lemon blueberry tartlets are great on their own, with a scoop of vanilla ice cream or with a dollop of whipped cream. 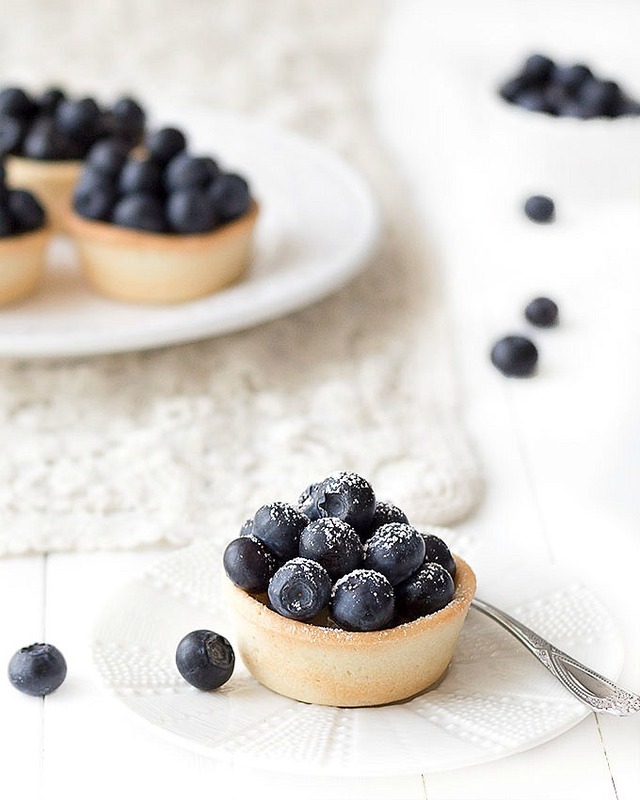 These lemon blueberry tartlets are easy and delicious! In a large bowl, beat the butter and sugar with an electric mixer until light and creamy. Add the egg, vanilla extract and mix until combined. and beat until the dough just starts to come together. Gather the dough into a smooth ball, wrap it in cling film and refrigerate for 1 hour. Roll out the dough on a lightly floured surface. 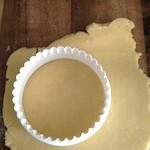 Using a circular cookie cutter cut out 8 circles that are slightly larger then the muffin cups or tartlets pans. Prick the bottom of the shells all over with a fork and let them rest for 30 minutes in the fridge. Preheat the oven to 180 degrees C (350 degrees F) and bake the lemon blueberry tartlets for 10-15 minutes. Combine the sugar, lemon zest and lemon juice in a small saucepan. Cook over medium heat until the sugar is dissolved completely. In a medium bowl, lightly beat the egg. 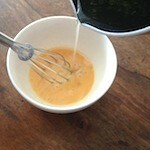 Whisking constantly, slowly stream the hot syrup into the egg. Beat for 2 minutes then transfer back into the saucepan by pouring the mixture through a sieve. Cook over low heat, stirring constantly, until the curd just comes to a boil. Remove from heat and let it chill at room temperature. Assemble the lemon blueberry tartlets. top with fresh blueberries and sprinkle with powdered sugar. 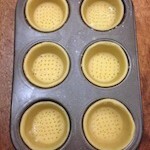 Ingredients are for 8 mini tart pans (8 cm - 3 inches) or for a 23 cm (9 inches) tart pan. These little tartlets are so beautiful! 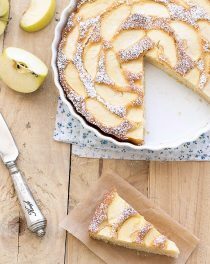 I love anything with fresh fruit.. and lemon curd too – so I can imagine I would LOVE these. Totally drooling over this one. Those blueberries look so juicy and ripe. 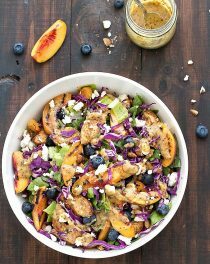 For a holiday party I substituted pomegranate seeds for blueberries and everyone loved it..